Part of a brand new addition to the Mustique Collection HomesDirect365 proudly presents to you this round 1 drawer side table, with its charming design and absolutely gorgeous wooden finish, this round side table is perfect for the modern home. An ideal solution if you're looking for some extra stylish wooden furniture in your home which can also give you some extra storage and table top space. 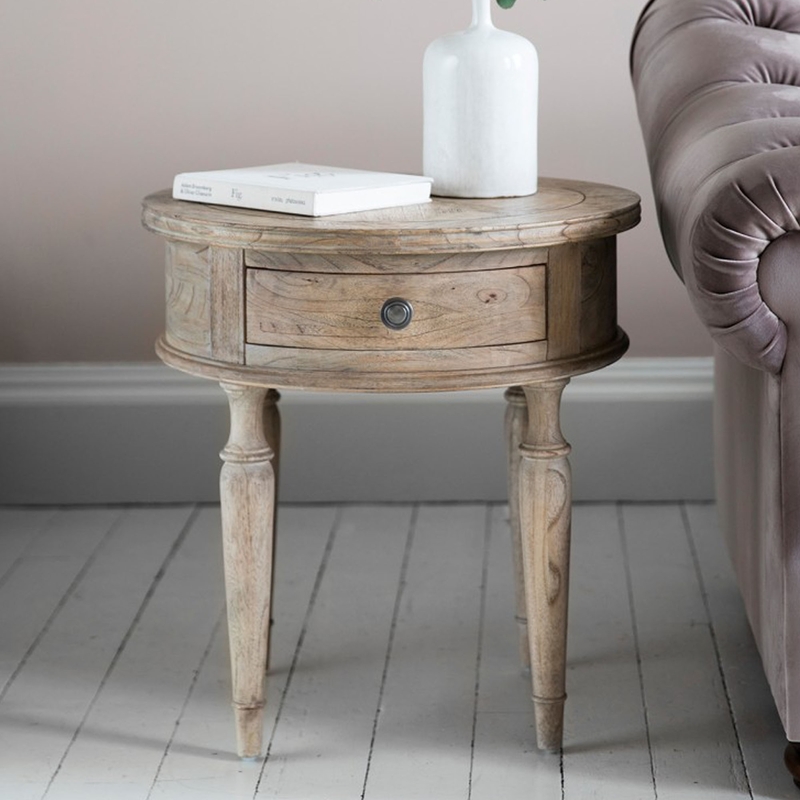 Mustique Round 1 Drawer Side Table works great with the rest of the wooden furniture we have to offer at HomesDirect365 as well as the other beautiful pieces amongst the Mustique collection.